"Best IT Management Service Provider in Santa Cruz and Bay Area California"
Pagoda Technologies has a reputation as a world-class IT management service provider for the Santa Cruz California area. Check out this sample list of companies who already use Pagoda Tech as their virtual IT department! Our computer network engineers help keep our community businesses running smoothly by managing business technology systems with flat-rate cost-effective 24/7 monitoring, security, backup, and productivity support. In addition to implementing state-of-the-art tech support tools, we develop custom systems such as for fire house communications, mobile workforce synchronization and other specialized needs. Call us to find out how we can quickly apply our IT experience to your unique situation. Learn more about our clients by clicking on some of their links: private insurance, real estate, government offices, emergency responders, technology manufacturers, attorneys and more. "Being a small business owner dependent on our computers and interphase technology for our business success I was getting tired to be the go-to person in my business for IT problems. IT is definitely not my genius and I was doing a poor job at it - on my good days. After being struck by viruses, locked out of past employees work email accounts, using low-end computers with various systems specifications and paying thousands of dollars in repairs with unsatisfying results from IT contractors - I was ready to put my business on a more reliable foundation. Pagoda gives me peace of mind. I am no longer stuck trying to figure out the best way to a tech solution or problem solve a connection problem with my limited knowledge or handle my team's tech issues - all of it is taken care of with speed and efficiency by Pagoda for one flat, easily budgetable monthly fee. It's one of the best business decisions I've ever made." 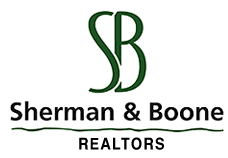 --Madeleine Silva, President, Chiropractically Yours, Inc.
"Pagoda Technologies has been a valued IT consultant for Sherman & Boone Realtors since 2006. The Pagoda Team have been very responsive to all our critical hardware, software, and network requirements and is a continuing integral part of our success." "Pagoda has been providing IT support for Design Octaves since 2008 and we could not be happier with their service. They do much more than just take care of our computers – they help us figure out what technology we need to reach our business goals. We rely heavily on our computer systems for all aspects of our operation, and they have done a great job of keeping everything running, and continually make suggestions for improvements. Pagoda is a valuable part of the team here at Design Octaves." --Dan McCabe. President, Design Octaves, Inc.